According to the Migraine Research Foundation, women are three times more likely to get migraines than men in the United States. While this is epidemiologically true, it does not diminish the fact that men can also be victims of migraine attacks. Globally, 5% of men suffer from it. The causes are similar in nature with a greater emphasis on stress, contact sports, and military service. Men who suffer from frequent migraines are more likely to have other health issues, such as anxiety, depression, and insomnia, according to a study published at Harvard Medical School. Migraines can also interfere with sleep and daily functions. Related research has discovered that migraines in men are also associated with an elevated risk of myocardial infarction (heart attack) as well as stroke. A study, using questionnaires, reported that having migraines elevates the risk of heart attacks by 42% in men. Another related study published in the journal Neurology found that men affected by migraines were two times as likely to have heart attacks as men without migraines. Sufferers also were 50% more likely to have key risk factors for cardiovascular disease such as diabetes, hypertension and elevated cholesterol. Researchers have not been able to lucidly determine how migraines are associated with a higher heart attack and stroke risk in men, but one theory is that they may share common mechanisms. 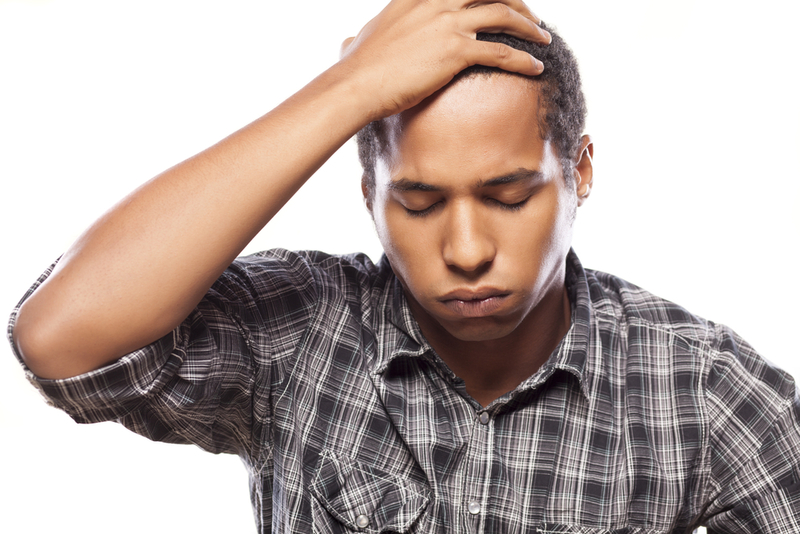 Unfortunately, migraines have been misdiagnosed in men greater than in women. Over half of migraines are misdiagnosed. According to a non-profit migraine awareness group, nearly 70% of men with migraine have never been diagnosed with an actual migraine. Perhaps men are not offering a detailed symptom history to the physician or physicians are failing to identify it or it is being erroneously labeled as a sinus infection. It could be related to the societal perceptions that migraines are typically a woman’s issue and men should be able to withstand physical discomfort. Famous movie celebrities such as Hugh Jackman and Ben Affleck along with athletes such as Troy Aikman and Dwayne Wade have gone public about their migraine suffering. Hopefully, this can weaken any stigmas and inspire men to seek medical attention, if need be. Accurate diagnosis and reporting is crucial for the next generation as genetics is a common risk factor for migraines. Identifying migraines early lessens the odds of children becoming misdiagnosed, mistreated and undergo complications.